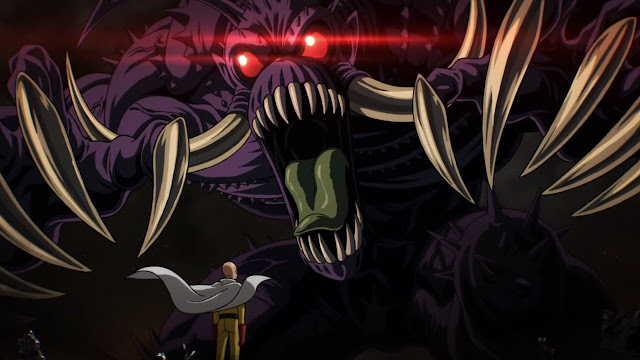 The setting of One Punch Man is Fairly generic; a world where monsters are widespread thus a hero organisation was established to counter the threat by sending heroes to defeat the monsters. The one unique twist added to the mix is that our main protagonist, Saitama is so overpowered, that all it takes for him to defeat his opponent is basically a single punch. This is definitely poking fun at your normal shounen tropes where usually the heroes had to get beaten up, train and get stronger to eventually outpower their enemies. But nope, One Punch Man totally disregard that element completely, by making the main protagonist so powerful that he himself are having his own dilemma to find someone that could actually give him any challenges. There is no cliche like latent ability, being a chosen one, acquiring special weapons or involved in an accident. All it takes for him to be that powerful is just plain ol' training which is ridiculous in its own right. 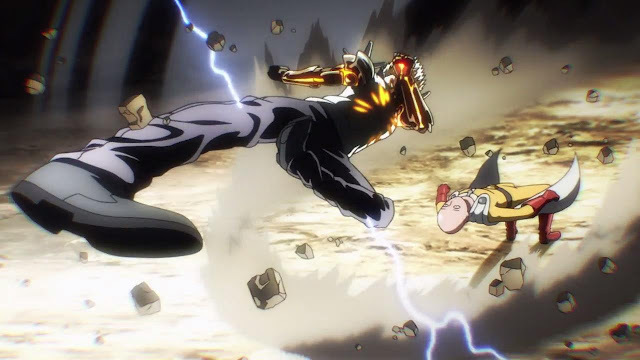 The story follows his normal everyday story, along with his disciple Genos, a straightforward yet cool-looking cyborg as they work to become a real hero. The term 'normal' is an understatement; for them to encounter monsters and defeat them outright is basically like a chore. 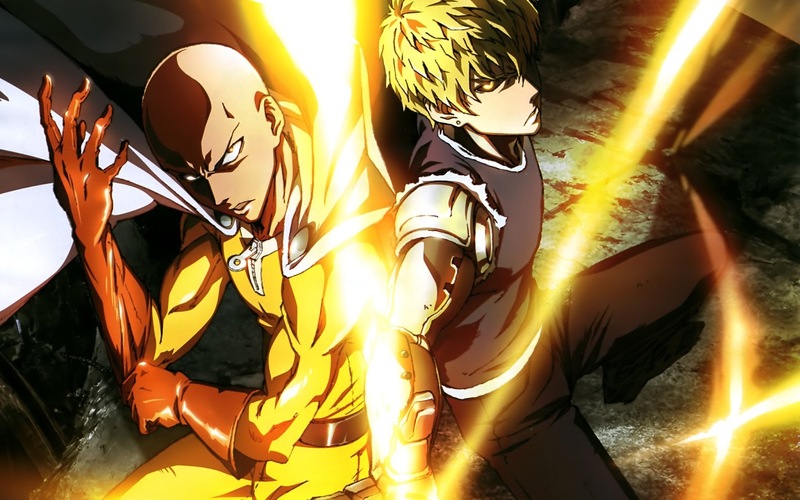 One may think that a story that ended up with its protagonist punching their villain into oblivion with a single punch might be boring and repetitive because where is the fun in that? 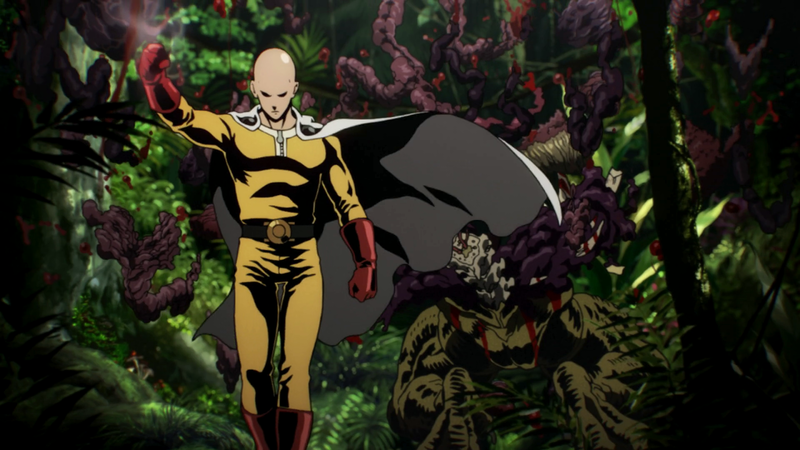 For sure, it is predictable; viewers will see that every time that Saitama appeared, the fight will end soon leaving splattered remains of his enemies behind. However, before that kind of stuff usually happens, there will be some kind of battle shown between the other lesser powerful heroes trying to fend off the powerful monsters, coupled with awesome fight animation and dramatic, hot-blooded battle line. 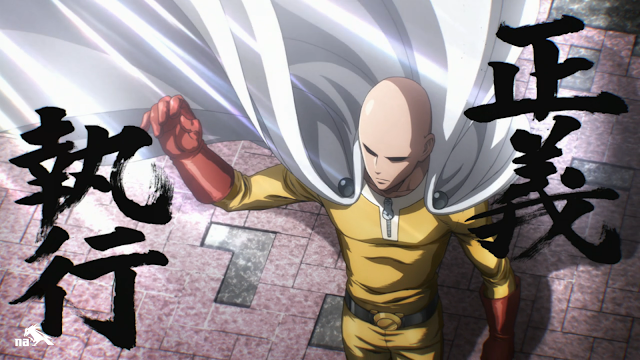 Such spectacles are a treat to the eye, before the fight eventually end with Saitama's epic single punch. 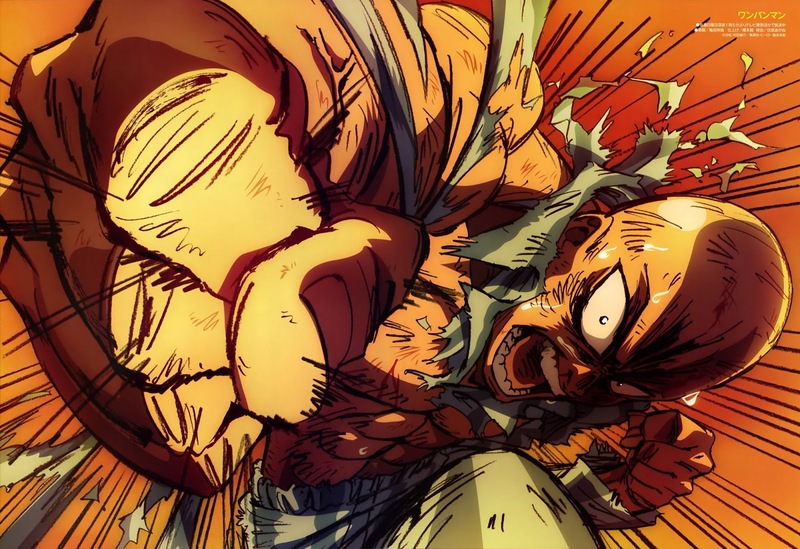 Speaking of a single punch, in theory, it may sounded bland, but each single punch are delivered with such meticulous impact that it never cease to look so amazing. The overall plot is really linear; trouble shows up, monsters rampaging, some background story, some fight breaks out and finally Saitama enters to save the day. It does not need to be complex because it is an anime purely made for fun by being a parody while having bit of serious moment here and there. There are some drama, portrayed through the struggles of weaker heroes, which are effectively presented. 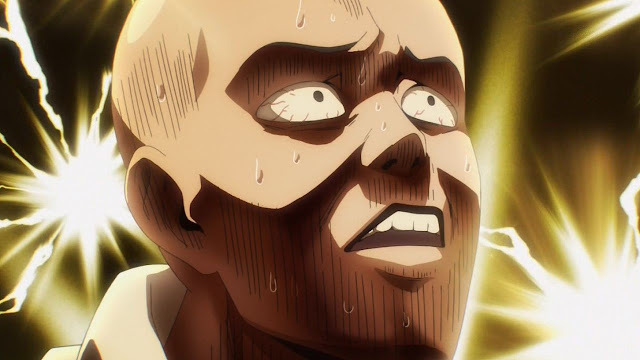 As for the comedy, every single punchline (heh) are delivered to guarantee makes the viewer crack a smile, and Saitama's hilarious reaction face are golden. His indifference expression when facing giant menacing monster are contrasted with over the top reaction when dealing with normal everyday problem, like forgetting a sale for example. 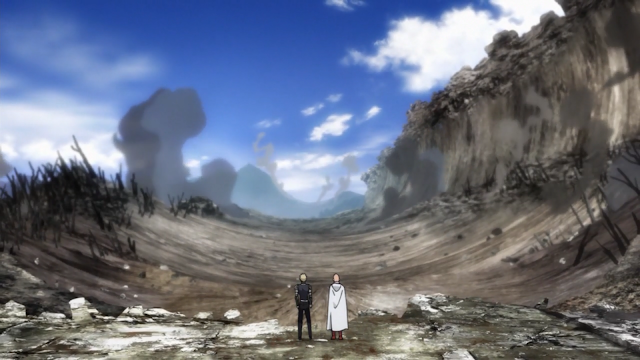 The pacing in the anime is marvelously carried out in a way that it is not too fast nor too slow Scene with slow, long winded talking are replaced with heavy action scene short after. The anime perfectly capture the essence of the manga, by faithfully adapt it panel by panel with some addition on its own. The only complaint that I have is that there is not enough story, but that itself is not really a huge problem at all since the anime is coupled with several special episodes and a promise of second season soon to come. Arguably the best anime of the season, and the one that you must watch at all cost if you still haven't seen it yet. Ignore the people who are cynical about this anime because of the growing fanbase, because what matters if can enjoy watching it. 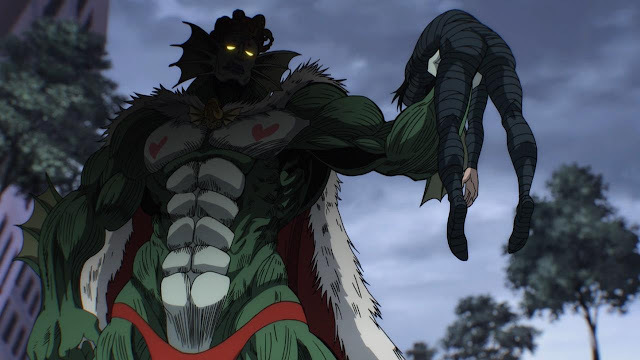 It may not have a deep, thoughtful story because it is a parody of shounen anime at core that's out so that viewers can simply have fun and revel in the absurdity. Plus, the art, animation and sound are one of the best there is for a while and there are varieties of characters that are all fun to watch. 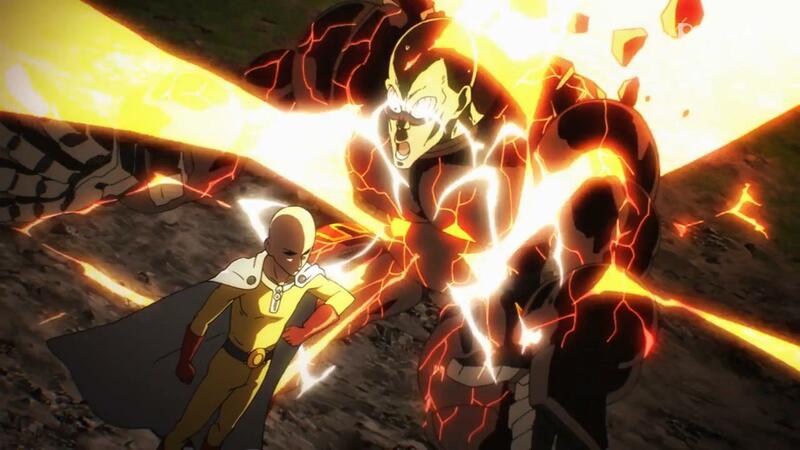 One Punch Man does what it sets out to deliver, that is to entertain. And it does so in style. 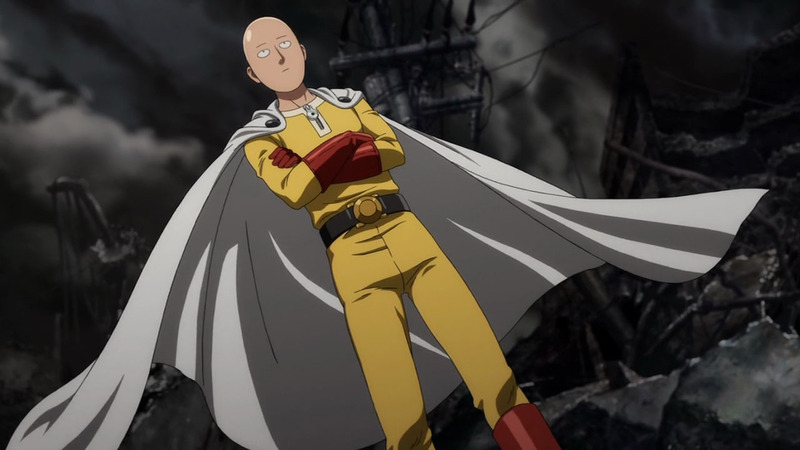 I love saitama too he is my favorite character.